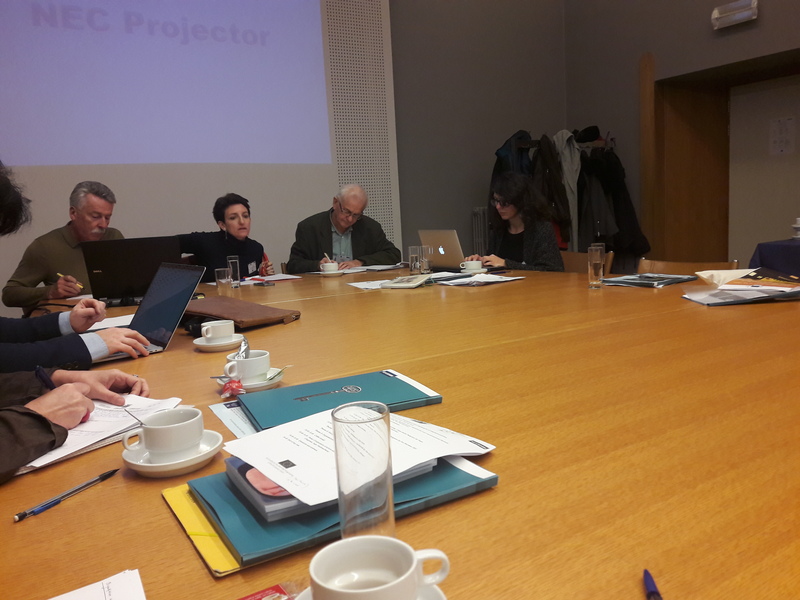 The third study visit of the IJJO-led project ‘Implementing Restorative Justice with Child Victims’, co-funded by the DAPHNE Programme of the European Union, took place on the 6th and 7th of November in Leuven, Belgium. 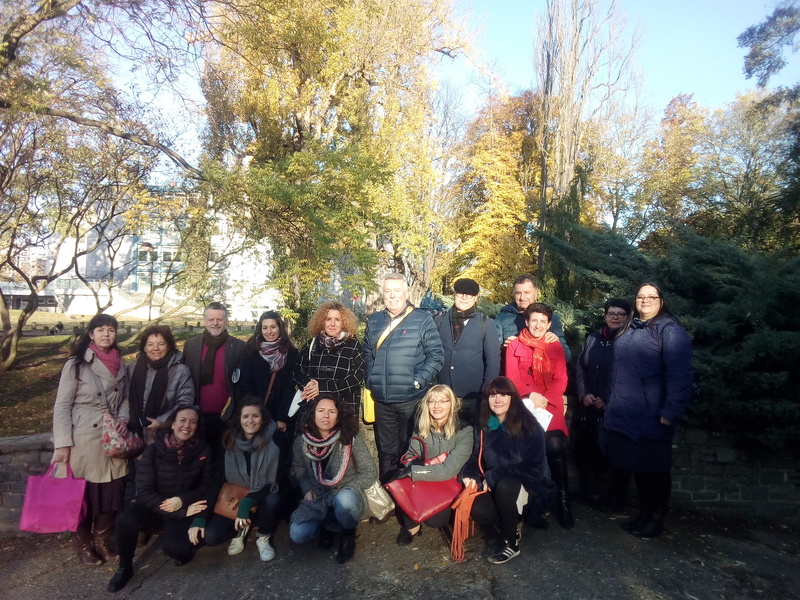 This third field visit was organised by the IJJO in partnership with the European Forum for Restorative Justice (EFRJ) and the Katholieke Universiteit (KU) Leuven, and was followed by an international training seminar for project partners and external professionals on the 8th and 9th of November. The IIJO was represented during these events by Silvia Randazzo, project manager. 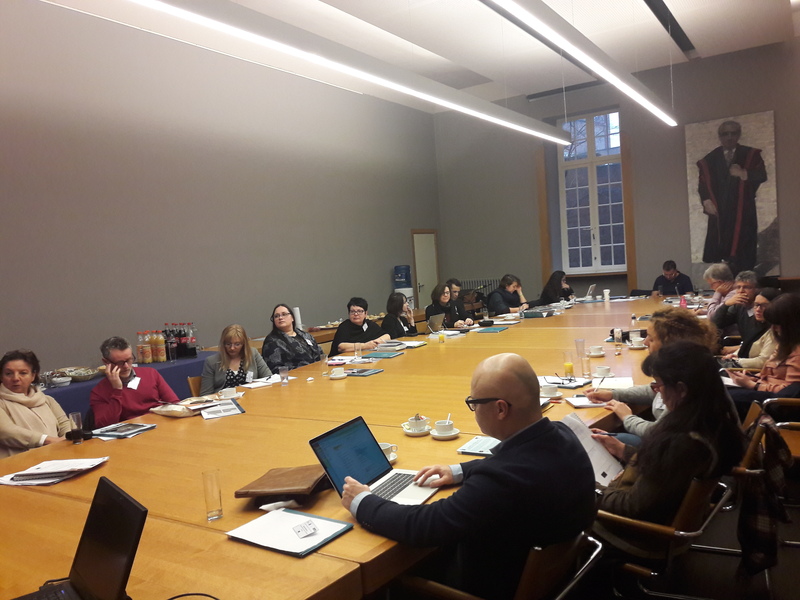 After a word of welcome from Inge Vanfraechem (EFRJ) and Silvia Randazzo, Prof. Ivo Aertsen (KU Leuven) began the field visit by outlining the current RJ legal framework for victim-offender mediation and conferencing with juveniles and adults in Belgium. Bram Van Droogenbroeck, mediator at Moderator (mediation service in the Flanders region), then gave a presentation on cooperation between Belgian mediation services. He shared examples of both his wide experience in the mediation field, and of effective collaboration between mediation services and victim support services. This was followed by a discussion of cooperation within RJ led by Edit Törzs, EFRJ Executive Director. She explained the strategies, methods and tools used by the EFRJ that could support the ‘Implementing’ project partners in introducing pilot projects in mentee countries. The field visit participants then visited the Moderator offices, where staff member Pieter Verbeeck explained the structure and function of mediation services in the Flemish region of Belgium. On second day of the field visit, participants visited the Arpège and Médiante mediation services in Liège (Walloon region). The following discussion was led by organisation directors Denis Van Doosselaere (Arpège) and Antonio Buonatesta (Médiante), who presented the structure and function of their respective services. They then gave seminar participants an overview of several cases of mediation and conferencing involving child victims that their organisations had handled. The field visit concluded with a final discussion of the project’s next steps and a mentors-mentees session. Silvia Randazzo briefly recapped the ‘Implementing’ project and then invited the mentor and mentee project partners to gather into groups to discuss practical plans for the implementation of pilot projects and national coalitions in the mentee countries. The field visit was followed by an international training seminar, ‘Restorative Justice and Child Victims: Implementation and Practice’, hosted by KU Leuven on the 8th and 9th of November. The first day of the seminar, chaired by Dr Inge Vanfraechem, began with an overview from Silvia Randazzo of the aims of the training within the framework of the EU ‘Implementing’ project. This was particularly for the benefit of the external participants of the seminar, who attended alongside the mentor and mentee project partners. The seminar continued with a thorough introduction to RJ definitions, regulations and organisational models from Dr. Brunilda Pali (KU Leuven). This was followed by presentations on the implementation of conferencing and of mediation in Belgium from Dr. Inge Vanfraechem and Prof. Ivo Aertsen respectively. In the afternoon, participants were divided into groups based on the project’s internal subdivisions between mentor and mentee countries and external participants. They then participated in three parallel sessions on different aspects of the implementation of pilot projects: ‘Legislation’ with Edit Törzs, ‘Pilot projects and evaluation’ with Tim Chapman (Ulster University), and ‘Organisational models’ with Prof. Ivo Aertsen. To close the first day of training, Tim Chapman, Prof. Ivo Aertsen and Dr. Inge Vanfraechem led a final panel discussion on the cooperation of actors and services in the RJ field. The second day of the seminar, chaired by Dr. Brunilda Pali, began with an introduction to RJ practices with children (mediation, conferencing and circles) from Tim Chapman, who introduced a specific focus on child victims. This was followed by a presentation on the particular experience of children as victims, and the application of key theories of childhood to this situation, from Hugh Campbell (Ulster University). Bie Van Severen (NGO Alba), Hilde Van Lommel (Moderator), Antonio Buonatesta (Médiante) and Kelvin Doherty (Youth Justice Agency Assistant Director), then formed a panel on good practices and challenges regarding children’s involvement in RJ. They respectively discussed conferencing in Belgium, mediation with child victims in the Flanders and Walloon regions, and conferencing with children in Northern Ireland. In the afternoon, participants were once again divided into groups and three further parallel sessions took place: how children experience being a victim, led by Hugh Campbell, how to engage and prepare a child victim for a restorative process, led by Tim Chapman, and assuring a safe and just process respecting children’s rights and wellbeing in mediation and conferences, led by Hilde Van Lommel. A presentation on training standards and models from Hugh Campbell and Edit Törzs then concluded this international training seminar of the ‘Implementing’ project.